Had a crazy busy week like most of you this week. Spending time doing some Cookie Decorating at a Special Needs School here locally and a few other fun activities. I guess it's all part of the "Reason for the Season". We have another Holiday fast approaching.....and that would be Valentines Day. Not that Im ever Johnny on the Spot and on time but I just had to cut into this Gorgeous new Designer Series Paper! I just had to. Normally I sit on it for a bit...okay I sit on it for a long time before I can cut it....but this pack just screamed to be cut. This "Painted With Love Specialty Designer Paper will be available to you on January 3rd. Not too far off from now. You might want to keep it in mind for your wish list. The other papers are just as gorgeous with the gold gilding in it. So, so fabulous and chic', don't you think? I paired it with the Sunshine Wishes Thinlits to make this card. Hope you like it. 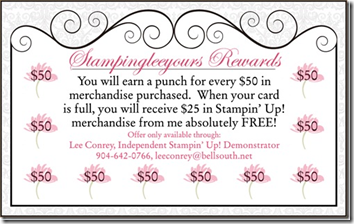 Listen, if you don't have a Demonstrator and would like a copy of the New Occasions Catalog coming out soon and the Sale-a-Bration Brochure just let me know by clicking on the Contact Me Button a the top of my blog. I'll be happy to get one to you. Hurry if you want to take advantage of FREE Shipping. Please Use Hostess some 3UQTNS2V when ordering. 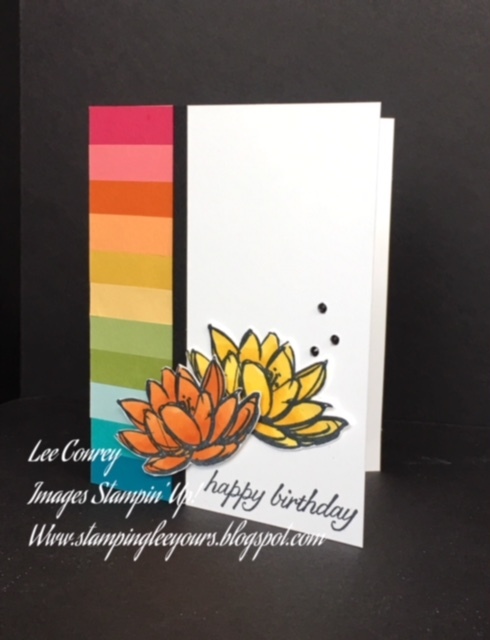 I wanted to share a card I will be doing with my Retreat Stampers in January for a class they will be doing. I hope they love coloring this Petal Passion Designer Series Paper as much as I do. I used the New Blends and loved how it pulled together. So easy to color these images that are just itching to be colored. If you need a catalog of your very own and don't have a Demonstrator please let me know and I will be happy to get you one and the Sale-a-bration one as well. You can reach me by clicking on the "Contact Me" Button at the top of my blog. I hope you have a great Saturday and get to create something fun. I have a Sneak Peek for you today of one of the new products coming out in January. I think you are going to love it. I started looking through some of my new stuff (I get to order early being a Demo) and was so delighted to see the cards in the Petals Passion Memories and More Card Pack. I saw this card and thought....this is going to be a card for sure. It also showcases one of the new Sweet Soiree Masks as well. I hope you like it. The Sentiment is actually from one of the cards too. Just cut it out and added a little Bling for interest. I used our Embossing Tase tinted with Pool Party Re-inker and spread it over the Sweet Soiree Mask onto the Basic Gray mat and that was it. Just waited for it to dry and assembled. You can't get some of these products yet but will be able to come January 3rd. How exciting is that? That's it for today....hoping it a Happy Day for all! Had a few minutes to stamp today before class and wanted to share. I wanted to use a lot of the scraps I had laying around and thought, why not make a paint chip? Anyway if you would like the directions for this please let me know by hitting the contact me button and I will send it right to your mailbox. I did use the new Blends Markers on this and just love them. I know you will too. 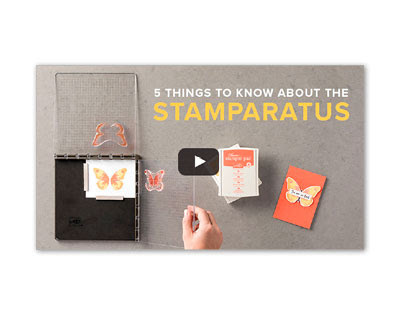 Stampin' Up!s New Stamparatus is available for pre-order. Watch this fun video on how it works. It's more than amazing! If you'd like to pre-order one please visit my website to pre-order. That's it for today.....I'll be back soon with some more great news!